TUESDAY, July 31, 2018 (HealthDay News) -- A new survey suggests health care professionals are giving short shrift to their older patients when it comes to explaining the risks of opioid painkillers. Researchers found that most older Americans who are prescribed opioids aren't advised about the dangers of the drugs, how to use fewer of them, when to use non-opioid alternatives, or what to do with leftover opioids. The poll was conducted by the University of Michigan Institute for Healthcare Policy and Innovation, and sponsored by AARP and Michigan Medicine, the university's academic medical center. "We know that unused opioid medications that linger in homes are one of the primary pathways to diversion, misuse, abuse and dependence. As prescribers, we must find opportunities to discuss safe opioid use, storage and disposal with our patients," said Dr. Jennifer Waljee, co-director of the Michigan Opioid Prescribing Engagement Network. She is also an associate professor of surgery at Michigan Medicine. "It is critically important to provide a detailed plan for patients who get opioids for pain management and resources for disposal," she said in a university news release. The poll of more than 2,000 adults, aged 50 to 80, found that nearly one-third had received an opioid such as OxyContin or Vicodin in the past two years, mainly for arthritis pain, back pain, surgery and/or an injury. 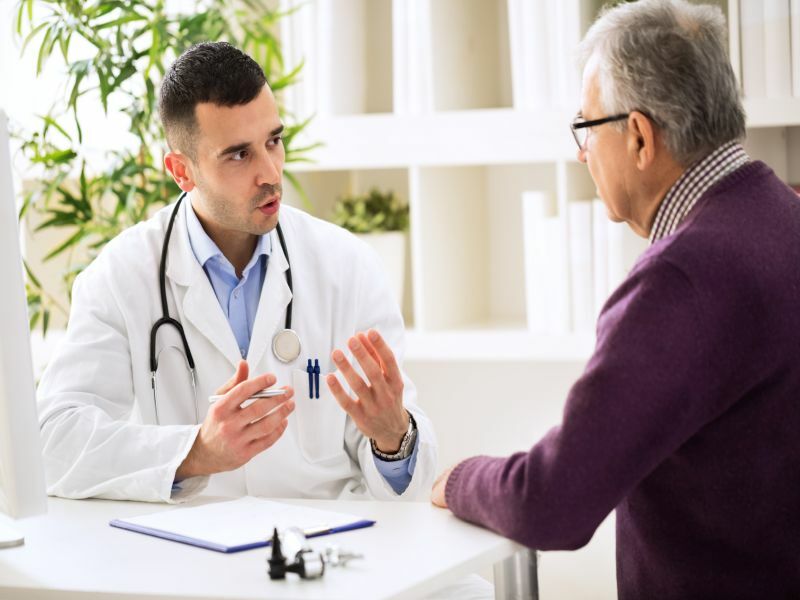 Most of those patients said their doctor, pharmacist or other health care provider talked with them about how often to take the medication, but far fewer said they received other types of important advice. Less than half said their provider counseled them about the risk of addiction or overdose, and slightly more than a quarter said their pharmacist provided counseling. A slightly higher number said their doctor or pharmacist outlined ways to reduce the amount of opioids they were taking. Only 37 percent of patients said their doctor discussed what to do with leftover opioid pills, while 25 percent said their pharmacist had done so. Half of the respondents who'd been prescribed an opioid said they didn't use all their pills, and 86 percent said they kept leftover opioids for later potential use. According to Alison Bryant, senior vice president of research for AARP, "The fact that so many older adults report having leftover opioid pills is a big problem, given the risk of abuse and addiction with these medications." Bryant explained that "having unused opioids in the house, often stored in unlocked medicine cabinets, is a big risk to other family members as well. These findings highlight the importance of improving older adults' awareness and access to services that will help them safely dispose of unused opioid medications."